Cleaning can be a scary task, period. 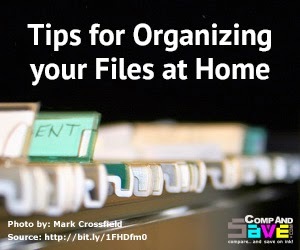 So today, we decided to help you guys out with some simple tips to organize your papers and documents at home. There's also other interesting reasons to organize, for example, experts warn that clutter could result in anger and anxiety issues and even cause relationship problems! Is it any wonder that they thought to dedicate a whole week to organizing files with Organize your files week? No, we're not kidding you, this actually exists – it's the third week of each April every year and it's dedicated to organizing files! Maybe this week is a good opportunity to help you stop wasting hours looking for that one important piece of paper, or just meant to connect with your spring cleaning jamboree! We'll never know, but however this started, it's a great time to start getting our home organized and our papers filed away, whether at home, office or in schools. If you have a filing cabinet, this would be a great time to start using or organizing it if you have a lot of papers to sort. 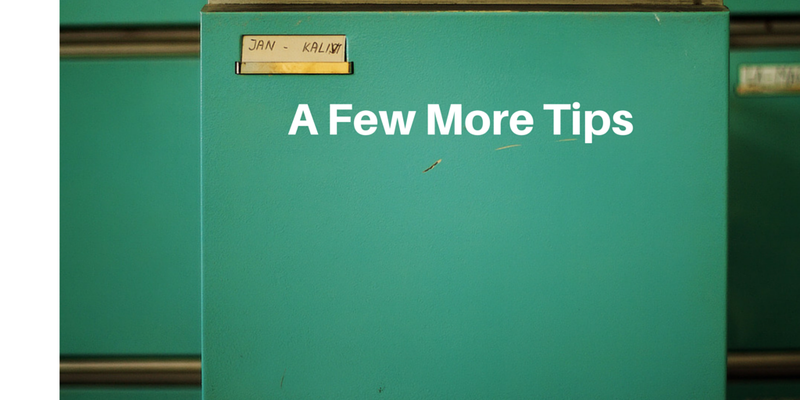 On the other hand, you could use: some colorful (and preferably color coded) folders, a few drawers or cabinet space, or even a large bin with handles could be enough. There are plenty of ideas for organization on Pinterest like wall mounted basket, wire baskets, plastic bins, boxes and more. The important thing is that there is a place in the house allocated for all the bills, receipts, letters and other documents. That old adage, a place for everything and everything in its place, very much applies here. You may feel a bit overwhelmed by all the papers that surround you. They seem to be everywhere – on your fridge, in drawers, in your bags, wardrobes, tables, desks...well everywhere! 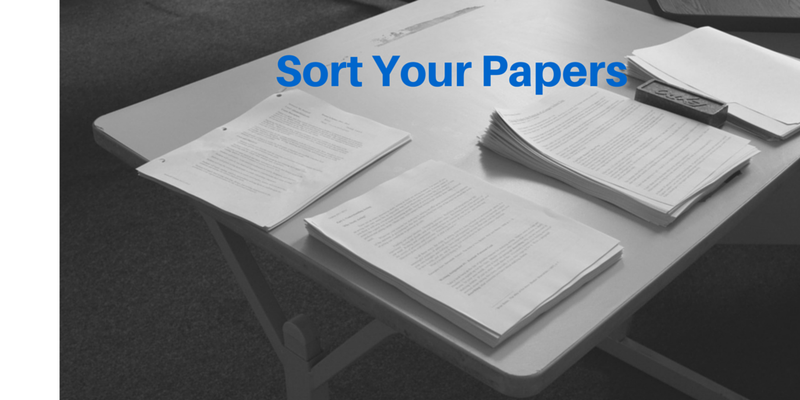 So make a start by collecting all the papers from all places in your home and start doing some simple sifting and sorting. Tip: Clear a large area on a table or the carpet or bed and make three piles: Action, Reference and Trash. If there is a bill to be paid or a letter to be replied to, it goes into the action pile. If there is an invoice you have to keep (for the warranty, date of purchase proof and so on) it goes into the reference pile. Similarly, bank and investment records, letters you want to keep, birth certificates, passports, all go into the reference pile. And then all the supermarket checks, brochures, bills, flyers, very old records you no longer need; bin them or shred them. Be a little ruthless; particularly if you're prone to hording – bin anything that you know you're no longer going to need. 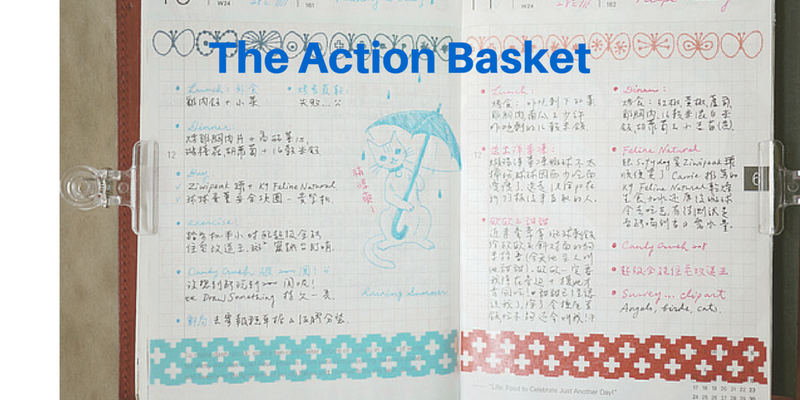 Now, that you’ve separated your important papers from your trash, create a TO DO basket in which all the action papers go. Now print out a planner to schedule tackling those. There are plenty of great planners to choose from on Pinterest – daily, weekly or monthly. Now arrange those papers date wise, to be tackled in order of urgency and make a note for this on the planner so you can get to them on the due date. 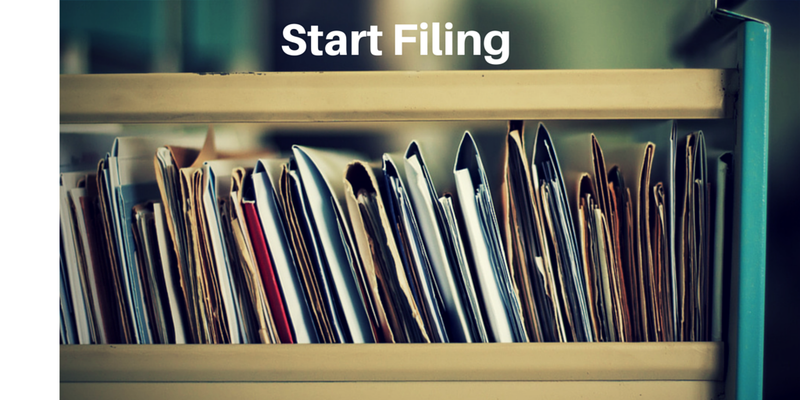 You can fine tune your filing system as you go along! First, create an overall system you plan to follow so that your clutter is immediately under control. Secondly, make filing a habit. Don’t let the papers accumulate, quickly sort them into the appropriate reference folder or place them in the Action basket while making a note on your planner. And place that action basket where it keeps reminding you to take action (no excuses for things being out of sight, out of mind). So here’s wishing you a busy and fruitful (if not happy) Organize your files week! 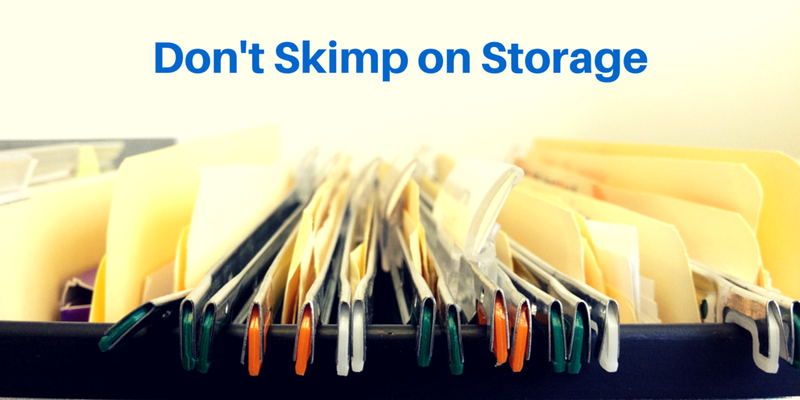 If you have some paper organization tips you'd like to share, we’d love to hear from you. It's almost Friday everyone! 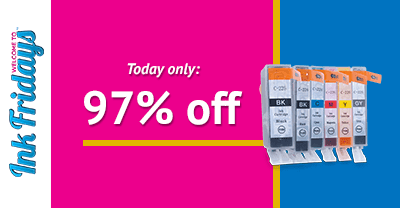 We know it's early, but we'd like to share this crowd pleasing deal for this week's Ink Fridays™ that is quite a steal. Here it is, to make a perfect match for your photo printing needs: 87% Off Premium 4”x6” Glossy Photo Paper (100 Sheets). That means you guys can get each sheet for less than $0.01 for a total price of $1.99. If you check out some other deals online, the average price for this 100 sheet pack is $14.95- you'll be saving $12.96. So from Mother’s Day photo cards to just everyday photo printing, we want to let you know these prints will last. We've actually specially treated all our photo papers with resin to make them water-resistant and long-lasting. We know a picture is worth a thousand words, but you don't have to pay more than a pretty penny for each sheet on April 11th if you check out the deal here. Offer ends at midnight (PST)! If you're thinking of printing photos from a special occasion like weddings or just want to add a professional touch, glossy photo paper is the way to go. The shiny, reflective surface gives a high-contrast appearance for vivid, rich photographs. This week's deal features 4"x6" glossy photo papers, but we also have photo papers in different sizes and finishes like matte and even canvas. You may view our photo papers if you'd like here, or click the image above. Ink Fridays™ deals was created as a way of appreciation for our loyal customers who choose us as their ink and toner provider. 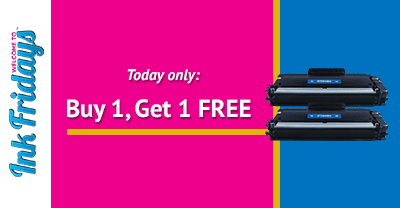 Every week on Friday, we share a special product deal from printer cartridges (sometimes in combo packs like this week's) to photo paper (we have a variety, from glossy to canvas). If you want to stay in the loop with each week's offering, sign up to our mailing list - and no, we won't bug you with a ton of emails. 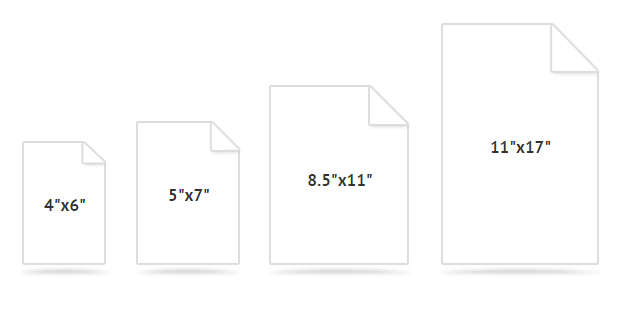 Don't forget, a hundred sheets of $1.99 4"x6" glossy photo paper can be yours until April 11th until 11:59 PM (PST). 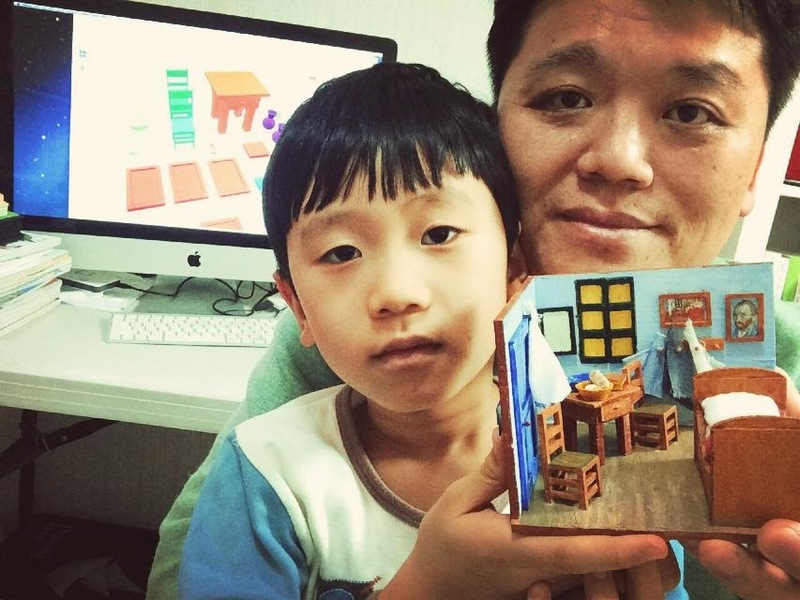 This classic Easter activity can involve everyone, regardless of age! It may be a good idea to organize the hunt out of doors to avoid littering your entire home with candy wrappers, confetti, and shoe skid-marks among other things. Plus, if the weather's nice, why not have it outside? If you're stuck on what should be the prizes, you could always have one big Easter basket as the main prize with several smaller treats hidden elsewhere. A good tip we picked up from a fellow co-worker is to create a boundary where all the Easter eggs are hidden (so that the kids don’t step out of the area). 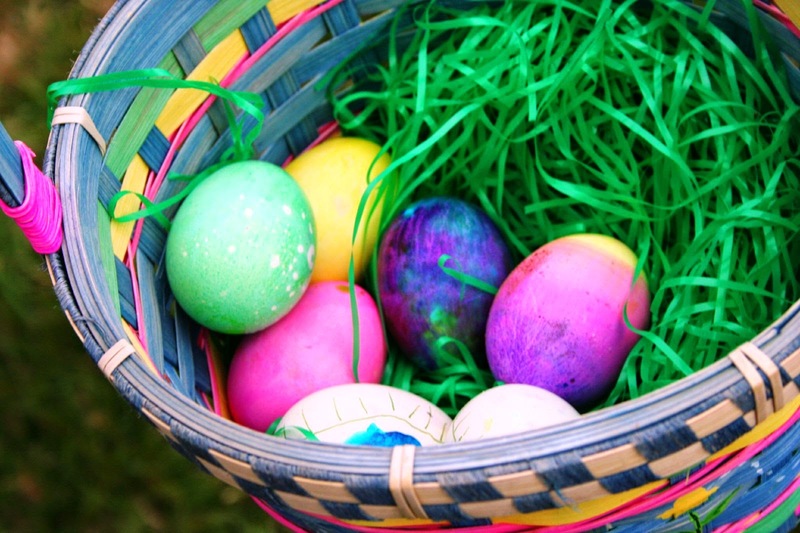 If kids are fairly young, ensure that the eggs have child friendly treats inside and are hidden within easy reach. If the hunt is for your adult friends and family, you can make it a little more interesting and put them in harder to find hiding places, a larger search area (to be sure, make your own list of hiding places for ready reference) and include more adult appropriate treats. The egg-on-a-spoon race is a variation of the lemon-and-spoon race. 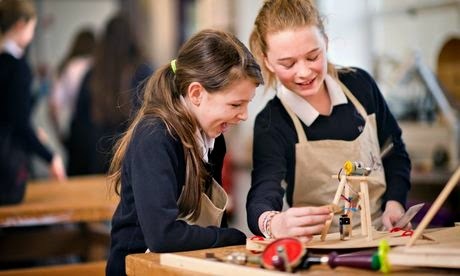 This is where you have the kids balance an egg on a tablespoon placed between the teeth and then....ready, get set, go! Here's a great tip: use treat filled eggs, so it doesn’t matter who comes first and every child's a winner! You can always have a different egg-and-spoon relay-race, where an adult starts the race and hands over to a child to complete the race. This way the whole family is involved! 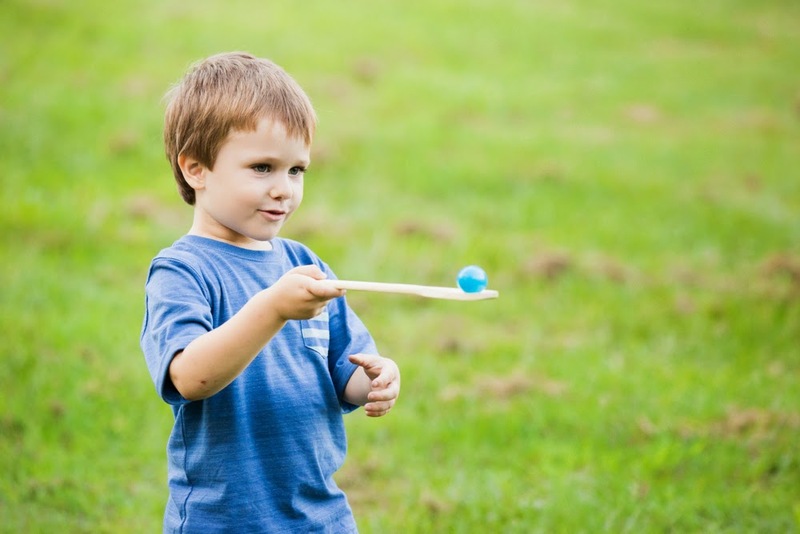 The jellybean toss is a simple game that needs a cup and some jellybeans or any other treat you can think of. Each team can have one adult and one or more kids and takes turns to toss as many jellybeans as possible into the cup within a minute or any set time. Decide the difficulty level (distance between the cup and the beans) according to the child's age. To make it more fun, have one of the team members hold the cup on their head while the other team member lobs the beans in (with hilarious results when the jellybeans travel down a collar or a neckline!). Have a prize for the team that got the most jellybeans into a cup or announce that each team gets to keep the jellybeans they managed to get into the cup, as the prize! 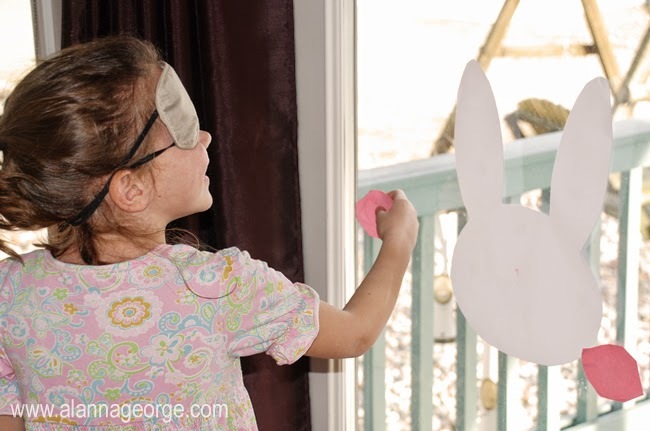 Pin the nose on the bunny is another easy game that kids and adults can play. Print out a large Easter bunny face and place it on a wall. Have each blindfolded person draw a nose where they think the nose should be. Kids can tie the blindfold on the adults and spin them around a little to disorient them! Adults can join in this one or can take some time off while you get the kids involved in this activity: Print out separate features of the Easter bunny (several of each) using your home printer – eyes, nose, cheeks, mouth and of course some big old ears! Everyone gets a paper plate to create their own bunny using all the printed features and crayons or markers to make the whiskers and so on. A prize for the one who completes their bunny first! And a bonus for the one who creates the cutest bunny! You can simply print out some Easter pictures and themed coloring sheets from sites such as Coloring.ws or Crayola.com (simply click on the image of your choice and hit print) and hand these to the kids along with some coloring materials. The kids will get coloring and the adults can enjoy some quite time! As our contribution to ensuring that you have a great Easter, we’re offering you a special Easter treat via our special Easter promotion. 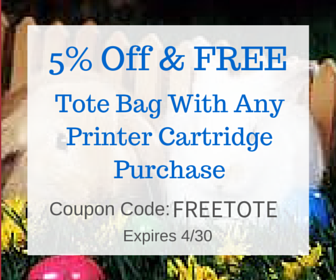 We’re offering you 5% off and a FREE tote bag for your printer cartridge purchases all this April. Just use the coupon code FREETOTE during checkout to get your discount and free gift automatically. 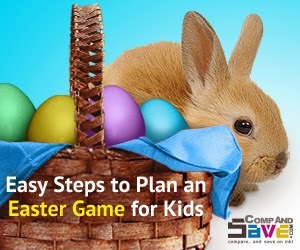 We would love to hear about Easter game ideas that you may have. Do kick off a discussion in the comments below of chat with us via our Facebook and Twitter pages.